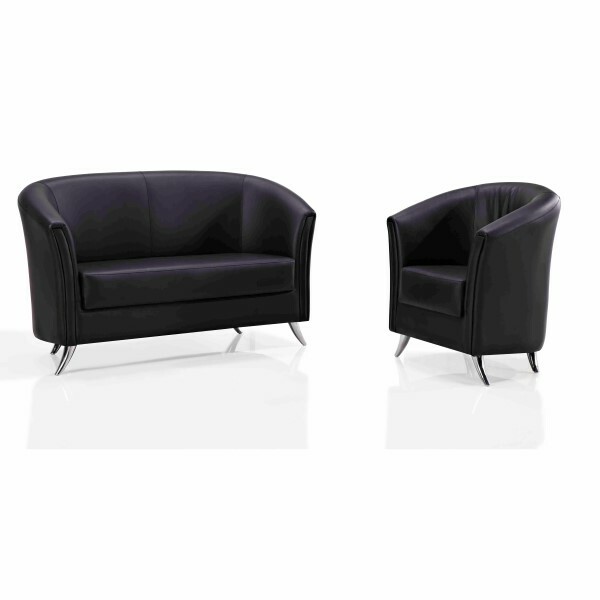 The Roxa Soft 2 Seater Lounge features a wonderfully soft sprung seat upholstered in synthetic Black Leather PU fabric. 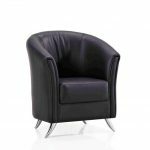 The Roxa has a robust hardwood frame mounted on curved chrome legs. 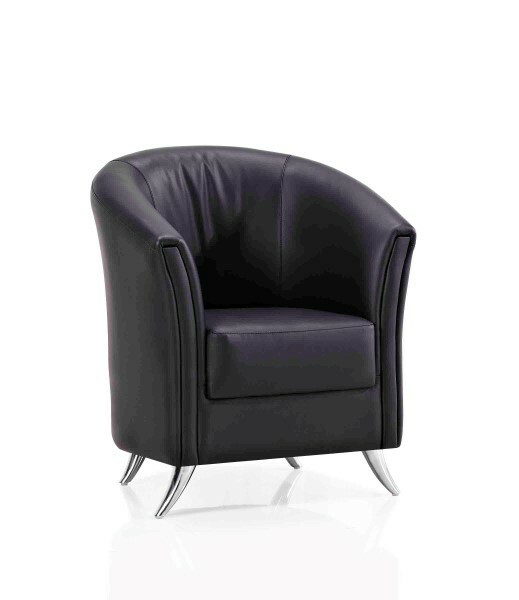 The Roxa Soft Range features hardwood framing, chrome legs and spring seats for added comfort. 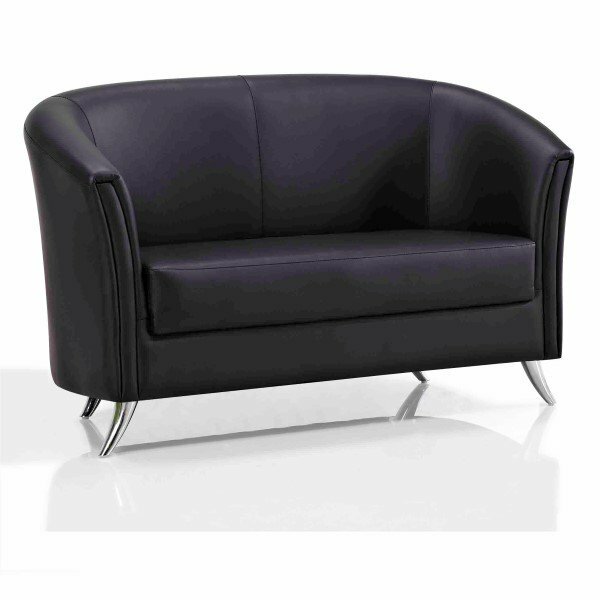 This Lounge Range is stocked for quick shipping and is availalbe in synthetic Black Leather like PU Fabric. The Roxa Soft Seat Lounge is available as a one or two seater. Warranty: 3 year manufacturers warranty.